This video is almost enough to make me regret doing a (mostly) non-violent playthrough of Dishonored. The only thing that gives me solace is that I'm nowhere near good enough to do any of this. 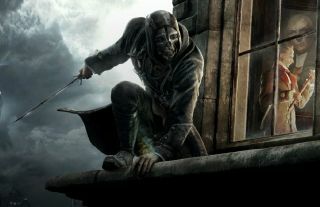 It's an spectacular playthrough of a section of Dishonored's Flooded District mission. The video is marked as High Chaos, although Highest Chaos might be a more accurate way of putting it. Aside from an absolutely beautiful trickshot, we're also treated to frenetic combat and some pretty convoluted traps. It's an impressive five minutes of work.